The Lord is truly amazing. As I took Astronomy for the second time, I did not regret my decision First of all because the first time was in college in 1984. Professor Andrew Vanden Heuvel’s lectures brought a multi-dimensional perspective. The last time I took the class, I was 18 and going to a secular college. I was just a few weeks into really knowing who God was in my life. Astronomy had always interested me to the point of me buying one of those cheap telescopes and looking up at the heavens. Even in my ignorance, I knew there was something bigger than me. I was hungry to reach out and touch God. Yet, in none of the lectures at the college I was in , did God make an entrance. No word of His majesty nor of His powerfully active work still being done today was mentioned. You see, the professor was a secular professor explaining his secular theories to secular kids who really did not want to be bothered by an entity in school. I call the trifecta of what has been going on in America for far too long. When I finished this class back in ’84, I received a great grade. It left me asking more questions than before I took the class. Now here is where I will sound old- Back then, I did not know what I know now. Now let’s fast forward to modern times!! I just finished taking this Anatomy class at CLI. The instruction was not only as comparable as college courses but it brought home the meaning of Astronomy. Back to my reflections on the class. This class was much more than the stars and galaxies. I can’t pick one class lecture because it would not do the class justice, just like I can’t just pick one thing I like in the bible because everything comes together in unity to declare God’s incredible majesty and power. But if I could take one lecture it would have to be the perfect number (Week) 7 lecture. “The amazing universe points to the amazing Creator… The class is all about knowing God…This class is very visual. There are picture galleries of each class to see…that will give you the purpose of course. And that is knowing God and how to know God better through His Son the Word, His scriptures and through nature. As professor VH continued explaining the sheer size of Gas Giants, I realized even that much more how God has a perfect synchronization and order throughout the universe. 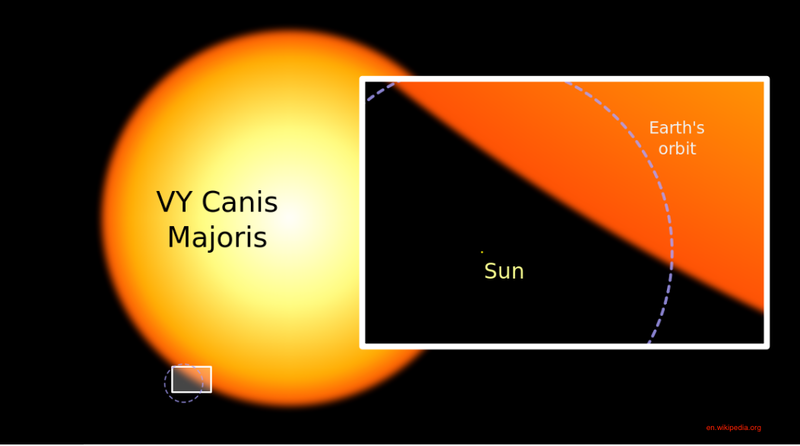 The above picture is of VY Canis Majoris. 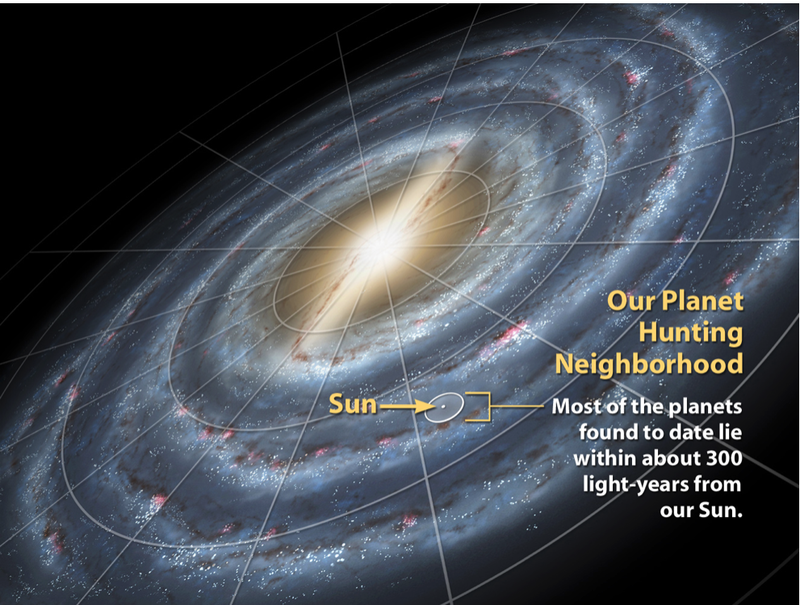 The small circle you see in blue, is outlining our sun and also the orbit of the earth.That is simply amazing and incomprehensible to see that our sun is a tiny dot in our galaxy the Milky Way! humans, that you think about them? his days like a fleeting shadow. What is man? Man is not the center of the universe. At least not in the scheme of the universe. Yet, God thought of men and women as incredibly important. As I sat watching the lecture, I couldn’t help myself. I became joyfully overwhelmed by God’s presence in my life. Instead of me getting sad and depressed on how minute we are in the vastness of space, I rejoiced that the Creator of this universe,the One that has this what seems infinite number of stars and planets, the Lord Himself, has taken time out to speak with me personally. Even more incredible, that He has sent His Son Jesus, to die a horrible death for me. Me, little ol’ me! An insignificant smaller than a fly human being when you look at the vastness of the universe. Yet, in his ultimate sacrifice, the Son came and like Psalm 144 verse 5 says, God lowered or bowed or bent the heavens to bring His Son Jesus to earth. Our God is so powerful that He can roll up the universe and put it in his pocket! I know what you’re thinking, “ How can Oscar say this? Is God that powerful and big? by the width of his hand? Our God is! Our God is the One that hold the universe in His hand. Our God is the One that thinks of humans as His precious love and joy! Our God is the One that called you and me from our mother’s womb! He knows us. His Son Jesus saved us. His Holy Spirit guides us. His majesty declares and His presence confirms. He is Our God. Our God is the One that reigns! The universe screams out into sheer delight that God is the orchestrator of all creation. But even more wonderful, He is the perfecter of our faith. The One that will se us through this journey called life. Our God is the One! 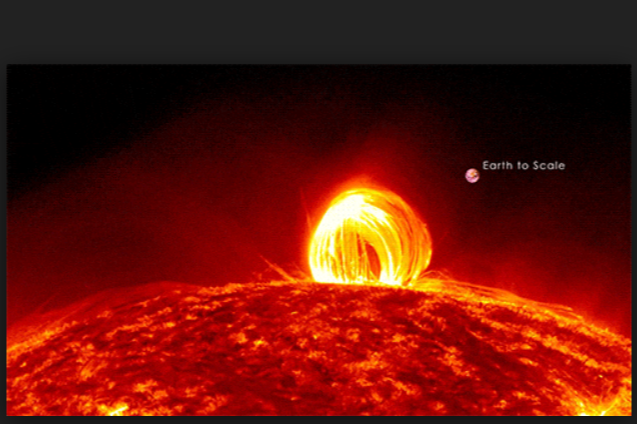 Suns and planets may begin and end. But They only begin and end with His command. Our God is the one that commands the heavens to move and they obey. There is nothing our God can’t do. And our God is the One that does all this, just for us, men and women in this tiny, hole in the wall planet called earth. Yet, our God is the One that has called us from here to spread the Good News of His creation and of His love and salvation. Our God is the One, who chose the nation of Israel, the tiniest of nations on this planet. Our God is the One that chose the lesser of brothers from each generation. Our God is the one who chose me, the least among people to proclaim the gospel! Some may see the vastness of the universe as a negative. But I see God’s glorious fingerprint in the heavens for they declare that Our God is the One!